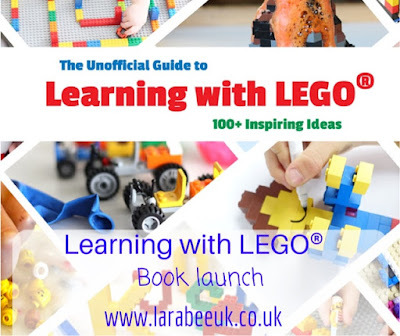 We were very lucky to be involved in the launch last month of a new book called 'learning with LEGO®' there are some absolutely fantastic ideas to help your child develop whilst playing with LEGO®. The book is priced at $14.95 (about £11.94) you can order your copy here it is available in both kindle or paper version in the UK. 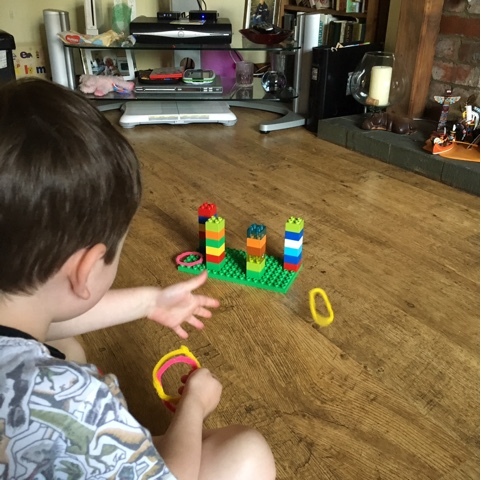 I've downloaded ours to T's tablet so he can look through and choose what activities he'd like to do, this simple tossing game was the first activity he picked. 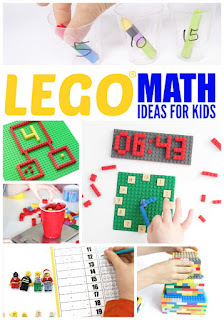 Great for gross motor skills and co-ordination! I can see this book being referred to for many years ahead and look forward to each time T opens kindle to have a look! 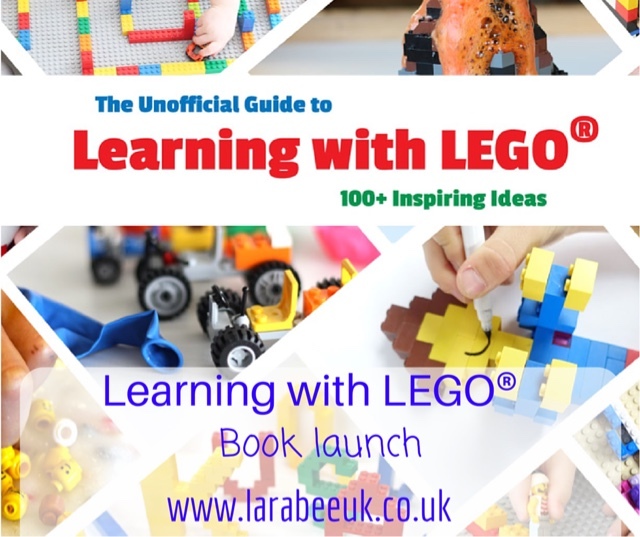 The book has so many activities aimed at children from 4 - 10, there's just so much in there. 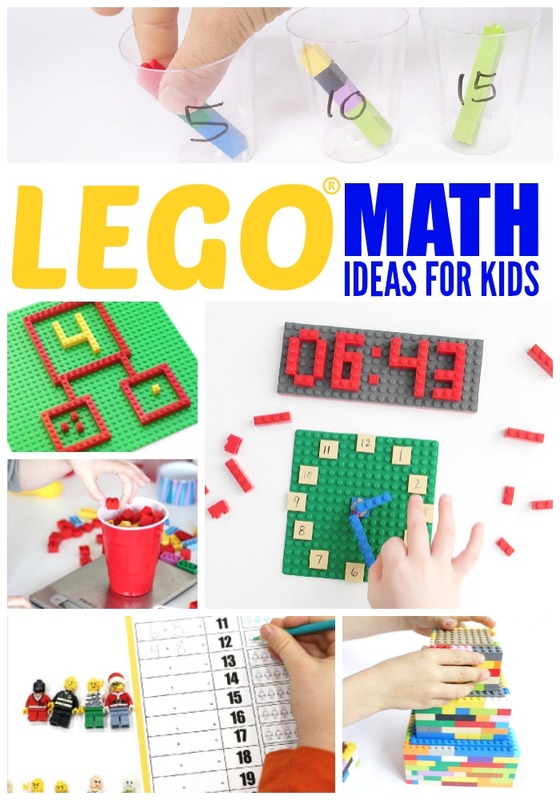 I particularly can't wait to do some of the Maths ideas with T when he's a little older. 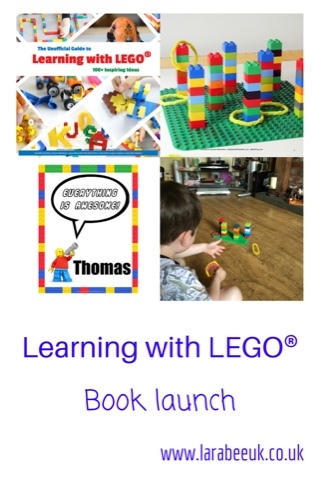 Along with the download for the book, you also get links to make your own Lego printables, we made a great poster for T's bedroom. 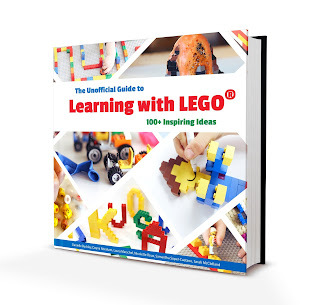 If your kids are into LEGO® I'd highly recommend this book there are just so many ideas to use! This book sounds great - I've seen some video clips about using LEGO to help with learning and it's such a great way of doing so.